I have been trying to write this post for a week. I can’t put my finger on what it is I want to say. The family of a recently deceased guild member invited us into her home last week to shop her fabric stash. Two dollars a pound. I keep trying to find words for how this made me feel. I don’t seem to have the words. Of course, I went. Lots of other quilters went, too. We were all interested in what this estate-sale-for-fabric-lovers had to offer. I was very excited about the sale—but I knew that my excitement was kind of sick, and a little bit twisted, somehow. By going through the fabric and taking out whatever we wanted, were we violating the quilter, her work and the memory of her in our midst? 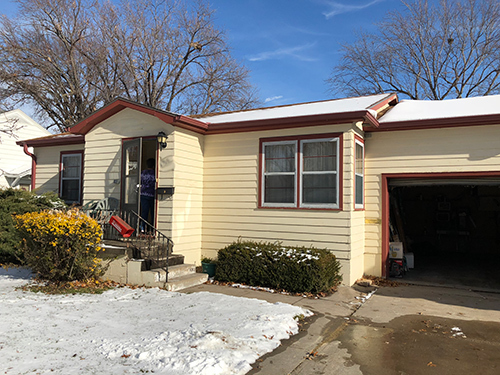 One friend pointed out the obvious: “She’s gone.” But I couldn’t overcome the feeling that I was somewhere I shouldn’t be to do something I shouldn’t do. My other emotion had to do with the volume of the fabric collection. There were many exclamations about how much fabric there was, but not from me, because my own stash is alarmingly healthy. What bothered me was facing the reality that, like this person, I literally cannot live long enough to use up what I have amassed. Maybe it hit me head on that someday, it will be my stash that people come to shop for two dollars a pound. What makes it worse is that this quilter lived an unusually long life. She was almost 95 when she died, she was healthy until the end, and yet she didn’t have time to use it all. Neither will I. 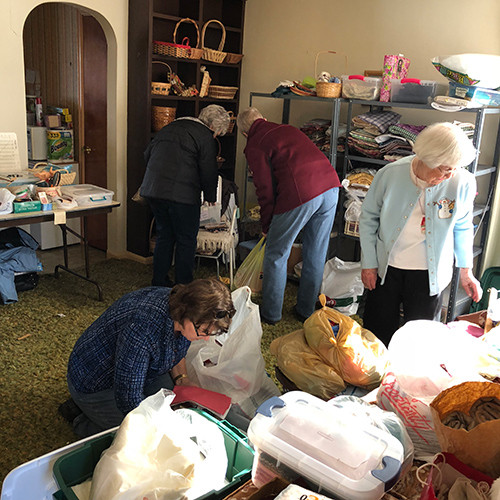 My friend (and extraordinary longarm quilter) Julie helped organize and carry out the estate sale. With a smile! So here is my takeaway. If collecting that fabric made her happy, then fine! Good for her! If she felt inspired by her purchases, then fine! I’m happy about that! If I can be energized by the fabric I bought that day, then good! It’s getting a second chance to shine! And wouldn’t that make her happy? Wouldn’t she be ever so glad that her stash had found another good home? The answer is yes. Yes, she would! I had the same feelings, Diane. I was sad that she didn’t get to use up all of that fabric, but know that she would be thrilled that others could use it. I walked through there telling myself that I didn’t need a thing, but I still managed to buy plenty. It made me realize, too that I will never outlive my fabric acquisitions. Thank you, Kay. It was a strange experience, wasn’t it? Exactly. I think we have extensive stashes because looking at it makes us happy. We don’t have to make the fabric into something to get joy out of it. Sometimes just “petting” it feels good. So I don’t look ahead thinking “what am I going to do with all of this?” I just enjoy it sitting there on my shelves. You got it exactly right! Well said Diane! Carrol was a wonderful friend and a treasure to know. She loved shopping for fabric and projects. She documented her purchases. She completed many projects, won awards, gifted quilts, was an inspiration and a great teacher…look at our gift from her….almost every piece of fabric purchased had a note that documented where, when and cost. She is smiling..knowing that we enjoy her purchases as much as she did. I too will not out live my fabric acquisitions. But I sure am enjoying the journey! Beautifully said, Julie. I’m glad she had you as a friend because I know it made her life richer! Reading your story hit home for me too! I had the opportunity to sort through someone’s stash and have what I wanted. I was also given her sewing machines that I dearly treasure! I look at these things and remember that I was with her many times when she made these purchases. She is now in a nursing home and on a good day will mention and smile about the many quilting trips we took. I miss those times we had! Thank you Aunt Myrt for the shopping trips when we bought many “just because” ( just because we like them) pieces of stash and the great times we had being together! What a blessing that you and your dear friend still enjoy the memory of your times together. Thank you for sharing that here. One of my cousins called me one day after seeing a quilt that I had posted on Facebook. She hadn’t realized that I was a quilter before seeing the post. She invited me to come over to her house and to make sure my car’s trunk was empty when I came. Cautiously, I agreed. 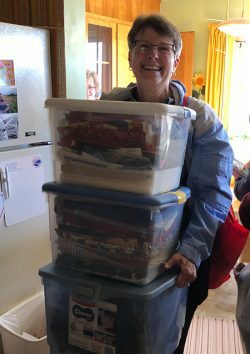 When I got to her house, she had a mountain of quilting supplies in her living room. A friend of hers had passed away, and left her stash to my cousin. Cousin had gone through and taken anything that she could/would use, and the rest was still more than I could ever use. I loaded up my car and went through everything when I got home. I took a number of boxes to an organization that makes donation quilts for kids and animals. I kept the ‘nickel’ squares, some kits and the quilt quality FQs. Everything else, including templates, stencils, and lesser quality fabric went to the free table at my quilt guild. And it disappeared quickly! Like you, I thought long and hard about this quilter who left so much behind. 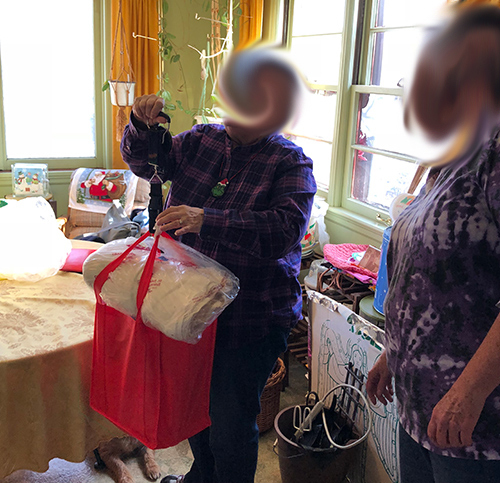 Cousin said that the woman had plenty of disposable income, and had often bought quilt supplies as gifts for others. It wasn’t that she couldn’t afford her hobby and was apparently a generous person, and I feel that by passing on her stash, I helped to continue that legacy. It did, however, make me take a critical eye at my own purchasing habits! I have started going through my supplies and have started donating the stuff that I know I will never use, and have started asking myself if I really, really, really need something before I buy it! Thank you for sharing that, Barbara. You sound like a wonderful person. I’ve had several situations like this. So has the guild I belong to. I’ve tried to justify my “finds” by using fabric bought from estate sales to make charity quilts and other items. Fabrics that are new and vibrant go to a guild program that makes quilts and pillowcases for foster children. Fabrics that are dated can be made into cat and dog quilts or beds for local shelters. Those “what was she thinking?” fabrics can be cut up and included in scrappy quilts for area nursing homes, veterans hospitals, and homeless. Just think of the fun that others will have wrapping up in a quilt and looking at all the different fabrics that went into making it. I know I can spend hours looking at vintage scrappy quilts, so I’m sure others do the same. When my time comes and my friends are invited to go through my stash, I hope they won’t be sad that I didn’t have time to use my stash. Instead, I hope they will know in their hearts that I live on in the projects that they make from my stash. And if they don’t use my stash, then the next person will. Be happy that we are passing along the joy that we once had from purchasing and petting the fabrics of our life as quilters. I enjoyed reading this post and all the comments. I have been the recipient of gifts from deceased quilting friends and I love adding their treasures to my own stash. I would like to be this organized so that when I’m dead, my kids can quickly and easily deal with passing on my stash to other quilters. I remember the slogan I learned when I first started quilting. The one who dies with the most fabric wins. I decided a few years ago not to try and live up to that slogan. 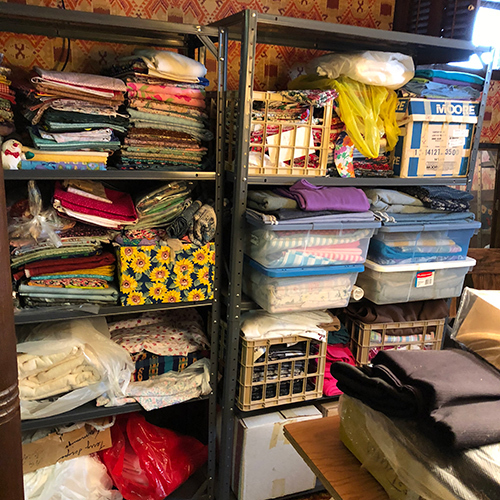 I stopped buying fabric except at my guilds flea market, except at the scrap table at the meetings, except when I absolutely had to have it to finish a quilt and nothing in my stash was right. Now I no longer have the first two options so I can dwindle my stash, except that I have a friend who gives me all her scraps (which she previously tossed) , except when someone donates fabric to the group I now belong to and no one else wants it. Except when my new friends have to clean out someone else’s stash and they need to make room in their own so they’re removals get passed down to me. My husband passed away recently after an illness which eventually put in him a nursing home. My fabric (and working on my quilts) is getting me through this. When cleaning out his clothes, I kept all his boxer shorts. They were mostly in good condition but I didn’t think people would want used underwear and the material will make a good shirting type quilt but in the middle will be a pair of shorts that I bought him many years ago for Valentine’s day. He wore them once when we went shopping for pants and he didn’t realize it until he got undressed in the dressing room. He was embarrassed so he never wore them again and they are in good shape. They will go in the middle of the quilt when I make it. I’m not ready yet but soon I will decide on a pattern and cut into them. Until them I have a lot of tops to make into quilts and they will be donated to various charities. But the boxer quilt will stay with me. Diane funnylady93, this is a beautifully written comment and a lovely idea. Thank you for sharing your story here. Hugs. We had a similar situation in our guild. A beloved guild member, and a super talented quilter, died a year ago. 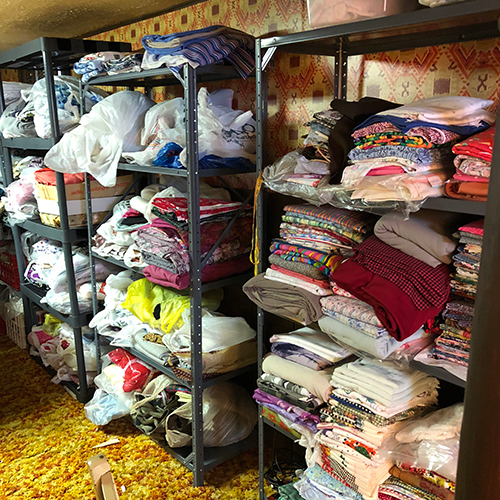 Her sister is a quilter and took most of her stash, but we inherited the Goodwill pile…bin after bin of amazing fabric and wonderful tops and partial tops. I also have mixed feelings about his fabric, but what I have decided is this: leaving fabric behind is okay because others can use it for their projects. Leaving completed tops behind is okay, because we can get those quilted. But leaving partial tops behind is just plain annoying. So I guess I’ll be working on my huge stack of UFOs now.